The new year has started and I bet most of you have one new year’s resolution in common. You want to eat healthy. Right? You have probably heard of trendy diets like Atkins, LCHF (Low Carb High Fat) and Paleo (eat like a caveman). So where do you even begin? You begin when you go shopping. If you don’t have unhealthy food at home, you are less likely to eat it. I am sure you’ve heard the old shopping rule “read the ingredients label“. People have been saying i forever, and I am actually going to agree with that one. Do read the label! However, I will not give you a list of E-numbers to remember to avoid. Neither will I tell you to memorize all the different ways of naming sugar (dextrose, sorbitol, fructose, sucrose, lactose – the list goes on forever). I will give you only one basic rule to follow and this one is pretty easy to remember. It goes like this: If the ingredients list has more than one ingredient on it – don’t buy it! Simple enough? 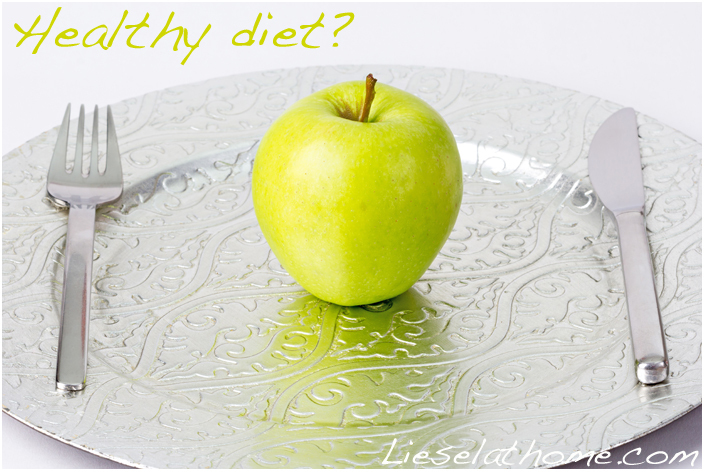 No miracle powders, drink mixes, pills – or worse – low fat alternatives, will make you healthy. Again, just look at the ingredients lists of those products and put them straight back on the shelf. And here is the good news: Shopping will become so much easier now! You can actually skip the bigger parts of any shop and just concentrate on a few small areas. You’ll be in and out, and done, in less than half the time you used to spend walking up and down those aisles reading labels. And when it comes to drinks, water is the only thing you need and you have that at home already in your tap. If it sounds boring – pimp it!